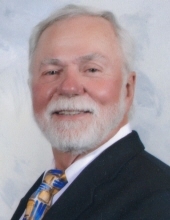 MURPHYSBORO – Joseph “Joe” Cyril Schmit, 74, passed away on Thursday, April 4, 2019 at his residence under the care of hospice. Joseph was born April 17, 1944 on the family farm in Lisbon, ND to Edward and Cecelia (Weiler) Schmit. He spent his first 8 grades in a one room country school. Graduated from Lisbon High School in 1962. He received his Bachelor of Science degree in Chemistry from North Dakota State University in 1966. Received his PhD in biochemistry from Purdue University in 1971. He did post-doctoral study at University of California, San Diego. In 1976 he was hired by Southern Illinois University at Carbondale School of Medicine where he worked as a professor of biochemistry and chair of his department the last 20 years until his retirement in 2007. He married Cheryl Kay Lahren on August 19, 1967 in Fargo, North Dakota. She survives in Murphysboro. He is also survived by two sons, Peter (Lissa Metzler) of Henderson, NV and Matthew of Carbondale. Also two grandsons, Jensen of Henderson, NV and Xander of Carbondale. Joe is also survived by brothers, Edward (Bertha) of Davis, CA, Donald (Cheryl) of Waupaca, WI, John of Salida, CA, and William (Amy) of Wahpeton, ND; sisters, Ellen Olmstead (Richard) of Brainerd, MN, Barbara Cameron of Montgomery, TX, and Susan Killingbeck (Keith) of Charlestown, RI. He is also survived by many nieces, nephews, great nieces and nephews plus many cousins. Preceded in death by his parents; two sisters, Kathleen in infancy and Mary Ann Schmit; and nephew, Nicholas Schmit. He retired from SIU in 2007 to spend time traveling and camping with friends and family. Also spent time at their lake cottage in the northwoods of Wisconsin biking and fishing. Memorial services will be 1:00 pm on Saturday, April 27, 2019 at the Carbondale Unitarian Fellowship with a time of visitation from 11:00 am until the time of service on Saturday. In lieu of flowers memorials may be given to Murphysboro Food Pantry, SI Chamber Music Society, Hospice of Southern Illinois or SIH Cancer Institute. To send flowers or a remembrance gift to the family of Joseph "Joe" C. Schmit, please visit our Tribute Store. Guaranteed delivery before Joseph's visitation begins. Guaranteed delivery before Joseph's memorial service begins. "Email Address" would like to share the life celebration of Joseph "Joe" C. Schmit. Click on the "link" to go to share a favorite memory or leave a condolence message for the family.